Festivities for the celebration of our 25th Anniversary (1992 – 2017) have begun! 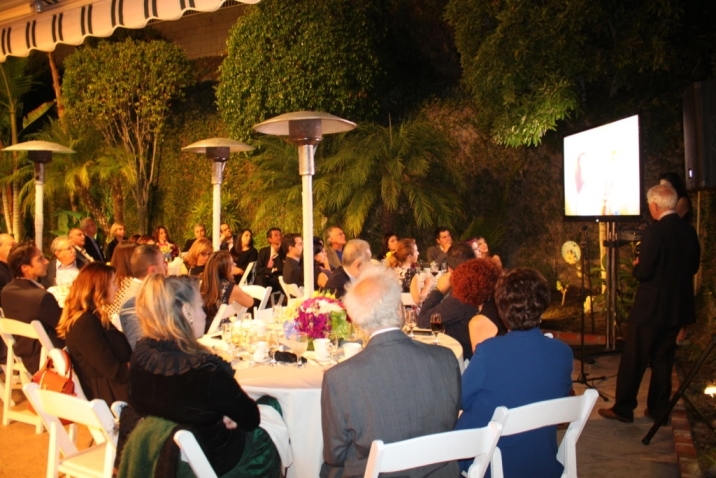 In the last few weeks, the Armenian EyeCare Project (AECP) has hosted two dinners for our friends and donors— one at the home of AECP Founder and President Dr. Roger Ohanesian and wife Eileen in Laguna Beach and another at the home of newly appointed board member Dr. Khodam Rostomian and wife Dr. Carmen Ohanian in Glendale. Guests at each of the dinner parties enjoyed cocktails and hors d’oeuvres while socializing under the gorgeous southern California sunset before sitting down for an alfresco dinner. 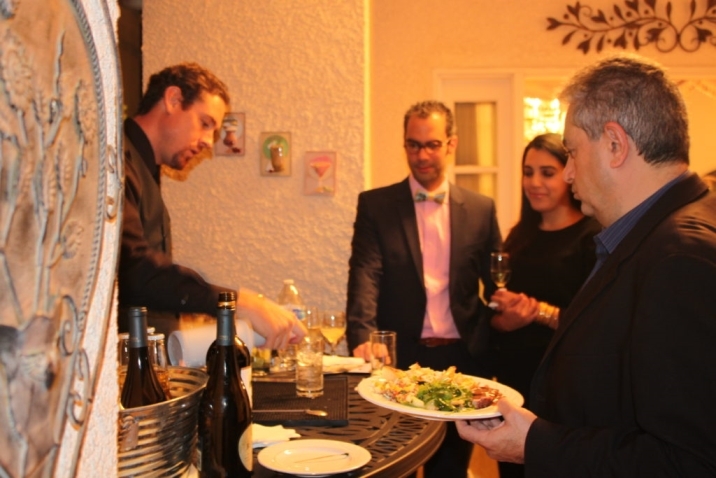 Between the main course and dessert, Dr. Ohanesian talked to guests about how the Armenian EyeCare Project was founded and the organization’s long list of accomplishments throughout our 25-year history. Through captivating photographs and fascinating anecdotes, the Laguna Beach ophthalmologist explained how dire the healthcare industry in Armenia was in the early 1990s, when he visited the country for the first time in 1992. He became aware of the growing wave of blindness plaguing Armenia during his visit. 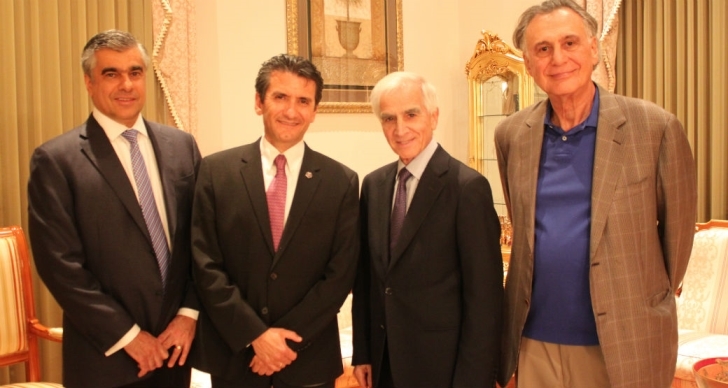 Believing he could help, Dr. Ohanesian subsequently founded the Armenian EyeCare Project. From 1992 through today — a span of nearly a quarter century — the AECP has made significant advancements in the delivery of eye care in Armenia. Throughout the past 25 years, the Project has restored the sight of nearly 20,000 people in Armenia and examined and treated hundreds of thousands more. We have also delivered a state-of-the-art Mobile Eye Hospital to Armenia; reduced infant blindness in Armenia by 90 percent through our cutting-edge ROP Program and Center of Excellence for the Prevention of Childhood Blindness; sponsored fellowships for eight Armenian ophthalmologists at the finest medical institutions in America with each fellow returning to Armenia to train colleagues and direct their own subspecialty clinics; distributed more than 70,000 prescription eyeglasses to Armenians in need at no charge; and much more. 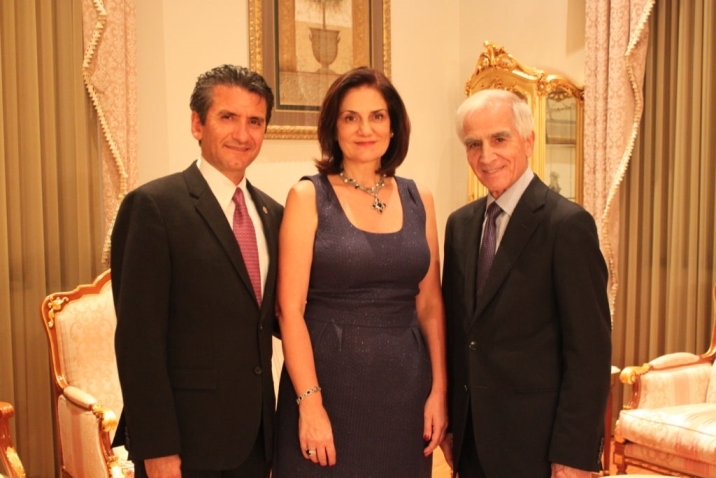 Glendale hosts Dr. Khodam Rostomian and wife Dr. Carmen Ohanian with Dr. Ohanesian. 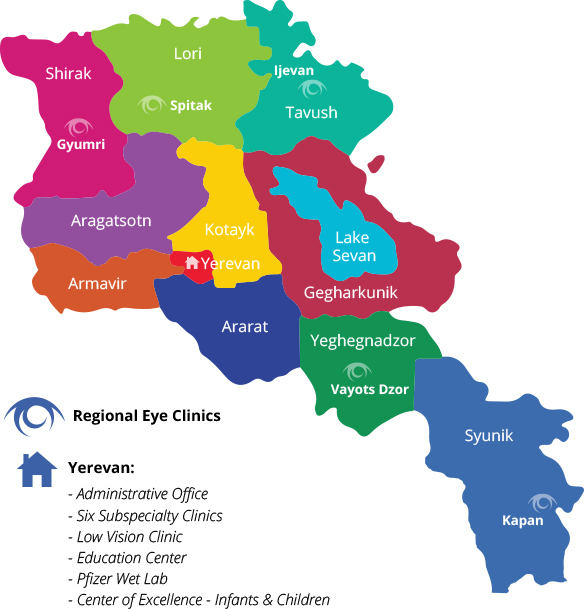 Building on our many achievements, we are committed to expanding our work in Armenia and have embarked on our most ambitious project yet: developing five Regional Eye Clinics throughout the country. “We now have the capacity to complete these Regional Eye Clinics and offer the same quality care to those living in the remote villages and regions of Armenia as people who live in Yerevan,” Dr. Ohanesian told guests. At the Glendale event, the night ended with a film telling the story of Lillia, a one-year-old Armenian girl saved from blindness after undergoing a complicated surgery, which was performed at no cost at the AECP’s Center of Excellence for the Prevention of Childhood Blindness.